It’s a shocking statistic but according to the Annie E. Casey Foundation and the annual report from KidsCount, 24-percent of Arizona children live in poverty. The study shows that 70% of fourth graders are below proficient reading levels. Proficiency in reading by the end of third grade is a crucial marker in a child’s educational development. In the early years, learning to read is a critical component of education. But beginning in fourth grade, children use reading to learn other subjects, and therefore, mastery of reading becomes a critical component in their ability to keep up academically. Children who reach fourth grade without being able to read proficiently are more likely to drop out of high school, reducing their earnings potential and changes for success. 66% of 8thgraders are below proficient math levels. Competence in mathematics is essential for success in the workplace, which increasingly requires higher-level technical skills. Students who take advanced math and science courses that require a strong mastery of math fundamentals are more likely to attend and complete college and have higher earnings over time. Despite the gradually-decreasing unemployment rate, Arizona is ranked near the bottom in the ranking of 16 categories that fall under education, health, poverty, family, and community. Arizona ranked near the bottom in each area, placing 45th out of 50-overall. “We really haven’t translated our economic recovery since the Great Recession into better conditions for children and their health, education, and security,” said Dana Wolfe Naimark, president and CEO of Children’s Action Alliance. Arizona has a long history of low rankings in the report, inching its way up from 47th place, two years ago. The report showed 24-percent of Arizona children live in poverty, higher than the national average of 19-pecent. 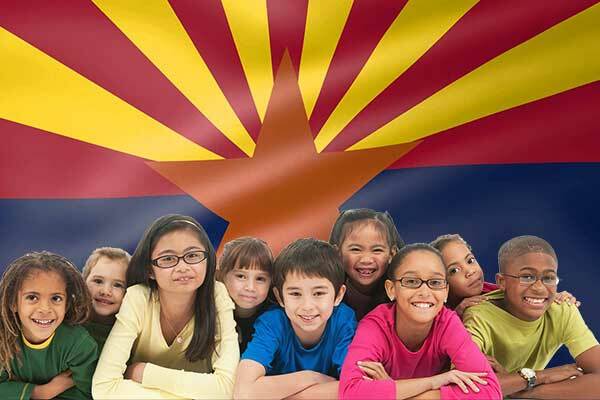 Additionally, 23-percent of Arizona children live in areas of concentrated poverty.